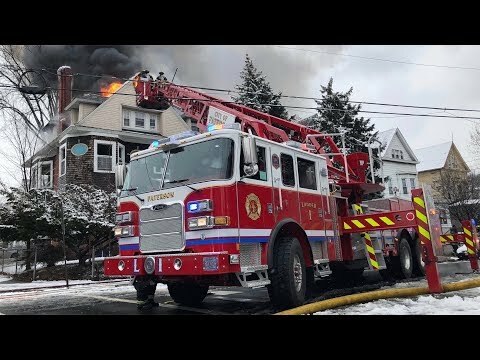 PATERSON, N.J. – No one died and no one was charged in a Paterson house fire Wednesday, authorities said. However, investigators were trying to determine the cause of the three-alarm blaze at 571 East 25th Street, they said. Firefighters quickly brought it under control. Another media outlet reported that someone was taken into custody, while some social media posts claimed someone had been killed. "No injuries have been reported and no charges have been filed at this time....However, the matter remains an active and ongoing investigation."